Coal is a notoriously cyclical business. Mines and freight networks take years to develop, meaning that the good times can last the best part of a decade when supply is tight, and the bad times can last longer when the inevitable wave of new supply arrives. The most recent boom and bust has been a lollapalooza. Prices hit highs of $US343/tonne a few years back. Salivating at the prospect of unprecedented profits, Australia, which accounts for 55% of the seaborne trade in coking coal, increased capacity 28% during the past five years. As new supply came on and China’s growth started to wane, the price collapsed to $US120/tonne today. ‘Take or pay’ arrangements with rail and port owners add to the burden. Under ‘take or pay’ miners are forced to pay for access whether they use it or not, which encourages mines to keep producing even when operations are marginal or loss making (because they would be losing more if they were paying for rail and port access without producing anything). This compounds the oversupply issue. What’s interesting, however, is that the pessimism hasn’t yet spread to the rail and port owners. On record volumes the Port of Newcastle is set to be auctioned off for a healthy price. Regal Funds Management head of equities Julian Babarczy recently picked rail owner rail operator Aurizon as a stock likely to do well in the next 12 months due to increased coal haulage volumes out of Queensland and significant cost reductions. Sure, locked in contracts make the infrastructure providers immune in the short term. But one wonders how the future for these companies can be so bright when their customers are going broke? Long term ‘take or pay’ contracts are great, but if coal miners starting going broke en masse, they won’t mean much unless they are backed by third party guarantees. I wasn’t able to find any references to credit risk or guarantees on customer contracts on the Aurizon/QR National prospectus. Once the coal miners are bled dry, rail and port providers are next in line. 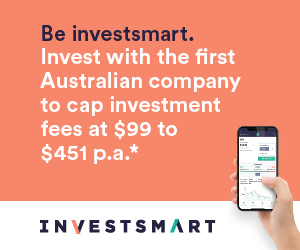 If Aurizon is forced to recontract on the open market it will be in the same unfortunate position as the coal miners, sitting on a sunk-cost, capital intensive investment during a prolonged downturn, with no contractual protection. Forget about generating a return on capital and just hope to produce positive cash flow. Worryingly, all this is occurring in world where actual tonnage of coal exports is high by historical standards, and still growing. What if something upsets that coal train? In our view there is a serious risk the Chinese investment boom comes undone and demand for steel with it. That could make for double-trouble on the Aurizon.